Take a look around you the next time you are seated in church. Do you know who is sitting near? Do you know their stories? I suspect that if you don’t, you would be surprised to know them. Most likely you would hear stories ranging from substance abuse to neglect to physical abuse to abandonment and on and on. And what would be most surprising would be how many of the stories would come not from the vantage point of the victim but of the perpetrator. How can this be? In Paul’s first letter to the church in Corinth, he lists all manner of people who will not inherit the kingdom of God. But then he finishes with the statement, “And that is what some of you were.” In Corinth, Jesus had taken some of the worst of the population and re-birthed them into new creations. They went from the dregs of society to a community striving to be what God had intended them to be from the beginning. The Corinthian church was made up of what the world would see as the most unlikely gathering of individuals. And we see this over and over throughout history. Saul of Tarsus was killing Christians for sport. John Newton, the author of the hymn Amazing Grace, was a slave ship captain. David Berkowitz, the Son of Sam killer, converted in prison and is now actively involved in prison ministry. Norma McCorvey, the Jane Roe of Roe v. Wade, is the founder of Roe No More, a pro-life ministry. The stories go on and on. Jesus takes what we would consider the worst of humanity and turns them into powerful tools for His glory. And that includes you and me. Who are you now? Who were you before you met Jesus? I don’t know everyone’s backstory, but I know Jesus. If you are reading this, it is because of His irresistible tug on your heart that you have come to a place where you want to know Him more. You and I used to be “those kind of people,” but by God’s grace, we have been washed clean of all our sin, sanctified by the Spirit, and justified to stand before the Judge of all the earth without fear. And now we are being called to participate in God’s reclamation of the fallen world. As you go through this fourth week of Lent, spend some time praising God for His grace in reclaiming you. As you pray, write down 3 different ways God has transformed you from “that kind of person” into a new creation. After that, ask God where He would like to grow you next and write those down. Now, as an act of worship, go act on one or more of those. If you feel that God is calling you to be more generous, then give more. If you sense He is calling you to be more loving, find a way to sacrifice of yourself. Then, after you have done so, let someone know so they can celebrate with you. Did you notice the power of unity? As the world witnesses the unity of the church, it will be one of the things that helps people believe the message of the Gospel. Think about it: folks of different ethnicities, different political convictions, different socio-economic and educational backgrounds, all coming together in unity around the truth of the Gospel of Jesus Christ. Yes, the Gospel is supposed to be that strong, and the reality of Jesus Christ that overwhelming. The sad truth, though, is that unity has been an elusive thing in the church over the last two millenniums. We seem to divide over just about everything—and seldom does it have to do with actual doctrine. Churches unfortunately are usually marked by their homogenous nature. People just congregate with others that look and think just like them. This is not what Jesus had in mind. So this Lenten season, can we pray and pursue something better? Can we pray that what would unify us would truly be Jesus, and not anything else? When we catch ourselves having a bad attitude towards a brother or sister in the faith because of some peripheral thing, can we take the time to look at them and remind ourselves—this is a son/daughter of my King. Could we pursue getting to know folks who aren’t anything like us except for the fact that they are totally in love with Jesus? When it is all said and done, I guess the question is this: is Jesus really where we find our unity? If it is anywhere else, it can fail. But if our brotherhood is found in Christ it can never fail. As part of the Advent Season, we have decided to put our faith into action by helping out some brothers in need. The Freemen House in Somersworth is a men's recovery program helping men obtain sobriety and wholeness through an authentic relationship with a loving God. They are in need of immediate food items. If you would like to donate you can bring any of these items to our two services this Sunday, December 23rd. Corn bread mix like "jiffy"
Large freezer bags "1 gallon size"
We, at DEC, have been graced and honored to have had a team of spiritual leaders through whom God has worked to bring the truth of the gospel, the love of Jesus and the power of the Holy Spirit to Durham, the New Hampshire seacoast, and throughout the world. And now God is working in the process of leadership change at DEC. We have no doubt that Jesus will continue to build DEC and lead us into new leadership. As we seek to conform to God’s will, the Elder Board at DEC has prayed about, discussed and taken action towards transitioning our leadership. 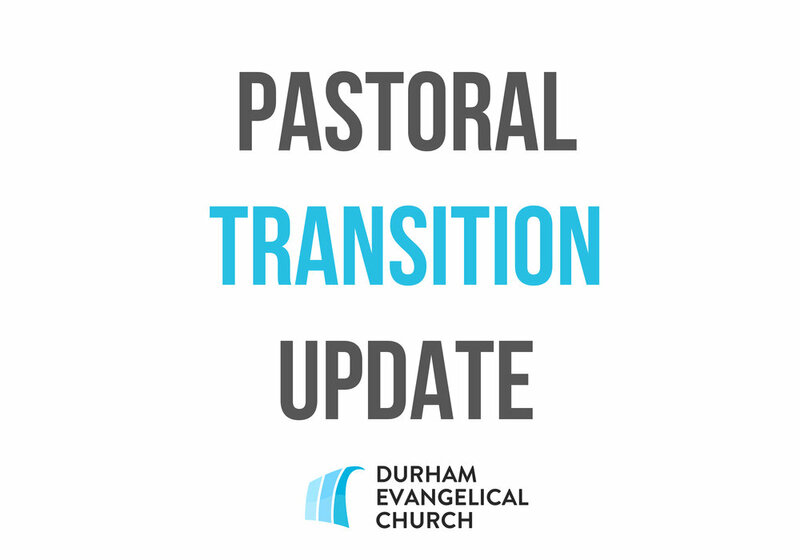 To guide and drive this transition, a Pastoral Transition Committee (PTC) will be created as directed by the DEC Constitution (seen as “pulpit committee” in Article X, Section E-1). The Elder Board has created a Focus Team (FT) to choose and equip the PTC with what is needed to guide the process effectively and with a clear purpose of conforming to God’s will for DEC. Its members are Governing and Emeritus Elders, currently made up of Pastor Terry, Elder Joe Cheslock, Elder Chris Miller, Emeritus Elder Tom Brink, Emeritus Elder Bill Bryon and Emeritus Elder Mark Valliere. We are hopeful that the Focus Team will have the PTC in place and equipped by mid-January, and the PTC will have the leadership changes complete in the 2020 timeframe. Please be in prayer with us as we walk in love and obedience through this transition with Jesus as He leads DEC into the future. After 21 years of ministry here at DEC Tom & Rebecca Froning feel the Lord is calling them out of full time vocational ministry. After much prayer and reflection on their part, as well as obtaining confirmation from others, Tom and Rebecca feel God calling Tom to a season of vocational work in the trades. We all are grateful for the love and energy Tom has invested into our body and we will miss his ministry gifts greatly. Tom has agreed to continue working in his current capacity for a period of time to foster an orderly transition of his ministry responsibilities to others. We are estimating this time period to be around 9 months. During this time the Church Board will be working with the staff, ministry leaders, and the wider DEC community to evaluate the pastoral needs of our body. The board encourages you to engage with any of us either directly, or through the board of elders email if you have input that you would like to provide. 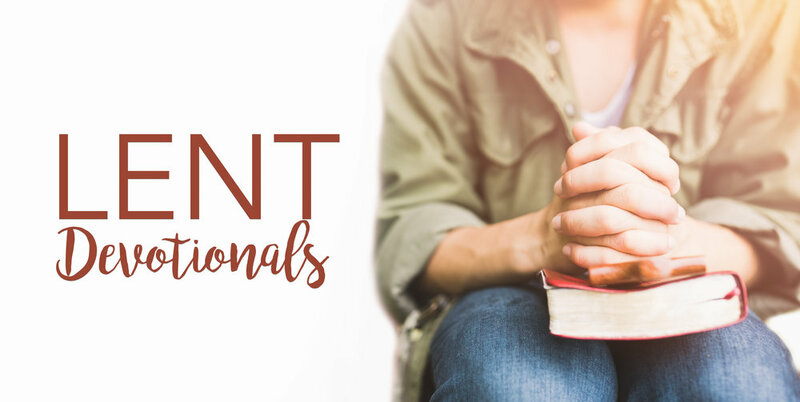 We know many of you have deep friendships with Tom, and we hope you will take the time to encourage him, and pray for Tom, Rebecca, and Kyle, as they seek to follow God’s leadership in this next phase of life. Pray also for us as a church body - that we may see what God has in store for us next – for we know that the place he is calling us to is the place we want to be. Exodus 20: 1-3 reads; “I am the Lord your God, who brought you out of Egypt, out of the land of slavery. You shall have no other gods before me.” Why do you think we need a commandment like this? To love and be devoted to the Lord who saved us? What is it about our heart that can’t find contentment in the Lord alone? The Passion Week is a great opportunity to consider fasting. Fasting is great way to draw near to God. Below are a number of biblical reasons for fasting. Begin the week asking God to speak to you about fasting. Key Verse: Philippians 4:12 "I know what it is to be in need, and I know what it is to have plenty. I have learned the secret of being content in any and every situation, whether well fed or hungry, whether living in plenty or in want." · The practice of fasting is less about what you are giving up and more about what you are replacing it with. In this case make a deliberate effort to spend time reading the word seeking God in prayer listening for his voice and praying for others. Don’t simply not eat, and “will yourself” through it. Fasting is not a diet plan. It’s replacing food with God and experiencing our true dependence on him and his genuine sufficiency in our lives. · Ask the Lord this week leading up to Easter to reveal the things in your life that prevent you from finding contentment in Him. Ask him to show you the way to freedom from those things. Ask the Lord to give you a change of heart and to find your contentment in him and not in your life’s circumstance.